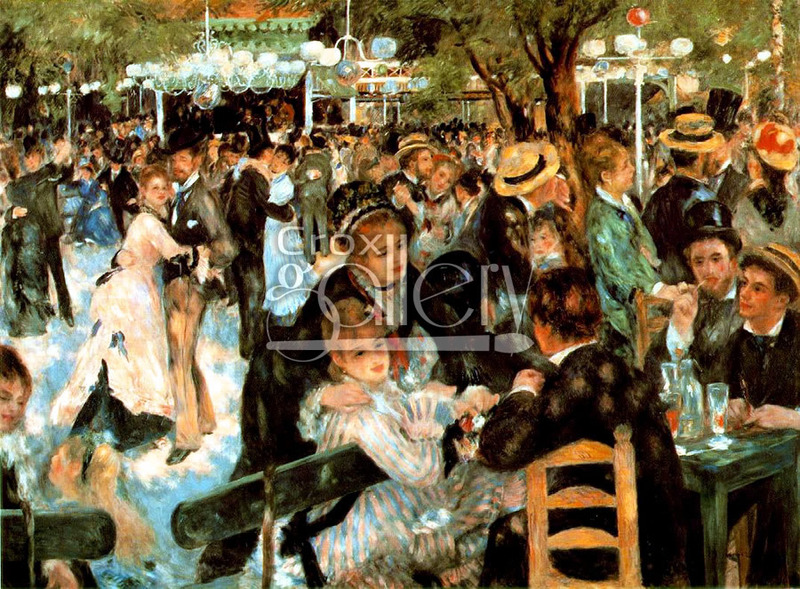 "Ball at the Moulin de la Galette" by Renoir, Hand Painted Replica. 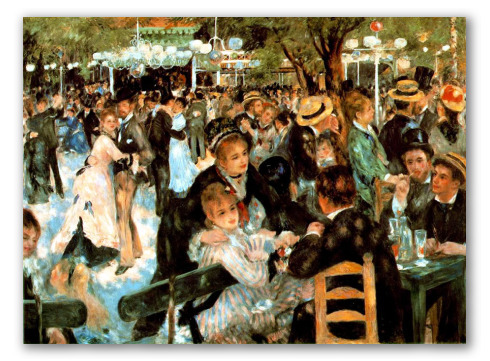 Ball at the Moulin de la Galette by Pierre-Auguste Renoir was painted in 1876. The setting is an old mill located on top of a hill in Paris. The painting depicts the social activity that took place around the mill at that time. The work is now exhibited at the Orsay Museum in Paris.